First Friday ArtRides: say what? say when? say why! say money! say yes BRAF! When you apply for a grant–and I’ve applied for MANY (and received them too! ), they always want to know what your goals are and how your goals fit into the granting agency’s goals. Just in case you’re interested, here are some goals (according to me!) for the ArtRides which we hold on the First Friday of every month from 5:30 or so until 8pm or so; we also hold a weekend ride. The next First Friday ArtRide is the Tweed Ride February 5 and we’re doing one February 6 also. 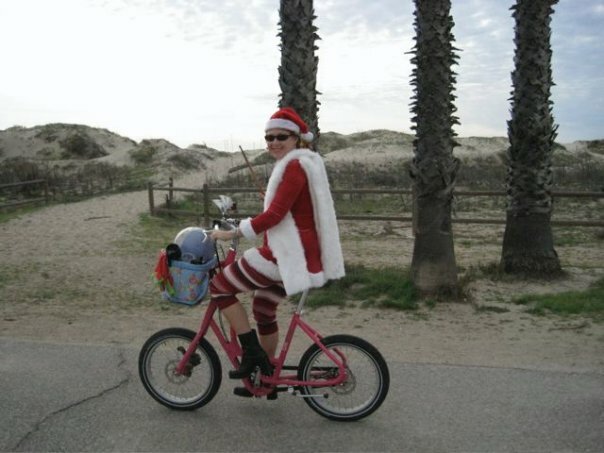 Join our facebook group “San Buenaventura ArtRiders Bicycle & Social Club” to know when those are held and to be kept up to date about rides. I think most of us will ArtRiders will agree the fundamental purpose of th e ArtRides, our Mission Statement if you will, first and foremost, is to increase the social fabric of our community. Of course, each ArtRider has or her own ideas about what we’re doing and why. So come on a ride and ask! We desire to create an artistic, engaged community because our community is fragmented by forces which encourage us to be spectators instead of participants, to blend in instead of standing out, to be quiet rather than to speak. 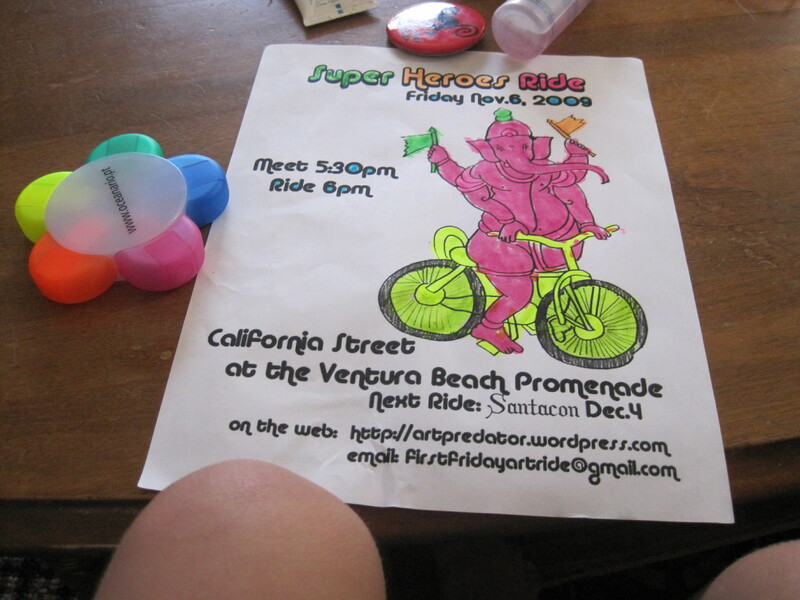 On our ArtRides, as we ride around town in our costumes, we change that dynamic: we become a participatory art action that also encourages people to ride and be engaged. Each month, we create a performance art piece with a changing cast of people which is inclusive in every way we can imagine. We stand out. We create goodwill. We generate acceptance. By riding our bikes together, we meet, get to know each other, and show our community ways to participate in life and have fun creatively in a way that is also sustainable. We are bicycling advocates. But it is hard to get people to support the needs of cyclists if they themselves don’t ride, so we want to get people onto their feet and their bikes. The ArtRides call attention to cyclists on the streets in a playful way. Being out on an ArtRide, being part of a public interactive art piece, give us an opportunity to talk about the needs of cyclists with cyclists and non-cyclists alike. As change-agents in our community, we’re trying to create a bike culture as well as a culture that allows for more creative expression. 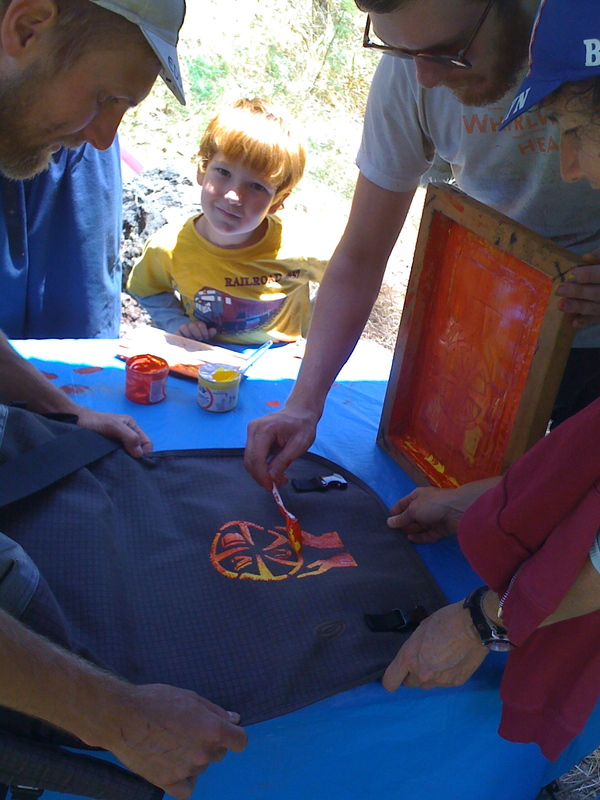 Through our ArtRides, we seek to create a community of creativity that supports living lightly on the Earth. 1. Encourage & increase bike riding; decrease auto dependency. 2. Lessen our overall impact on the environment. 3. 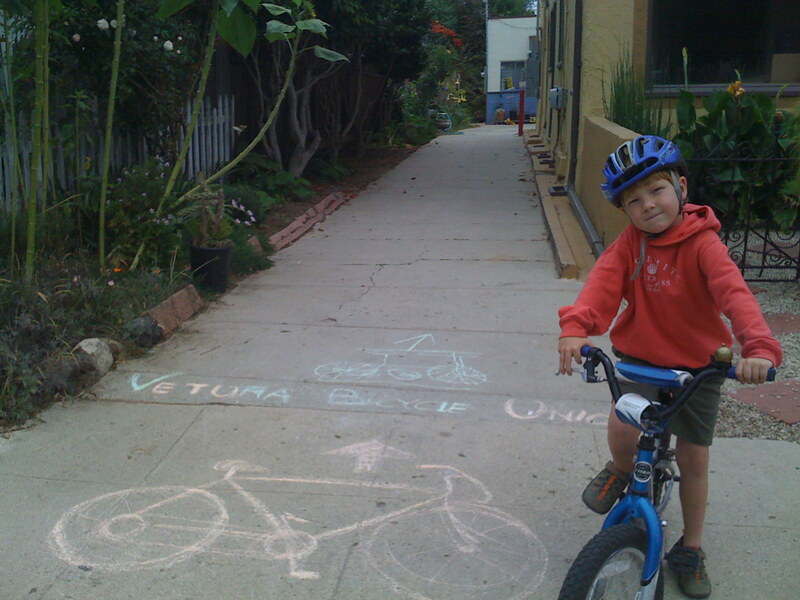 Create safe, direct intra- city bike routes. 6. Improve relationships between drivers and bikers through education. 7. Integrate bicycles with public transportation efforts. 8. Provide convenient bicycle facilities that support bike culture. 9. Find funding to implement goals. 10. 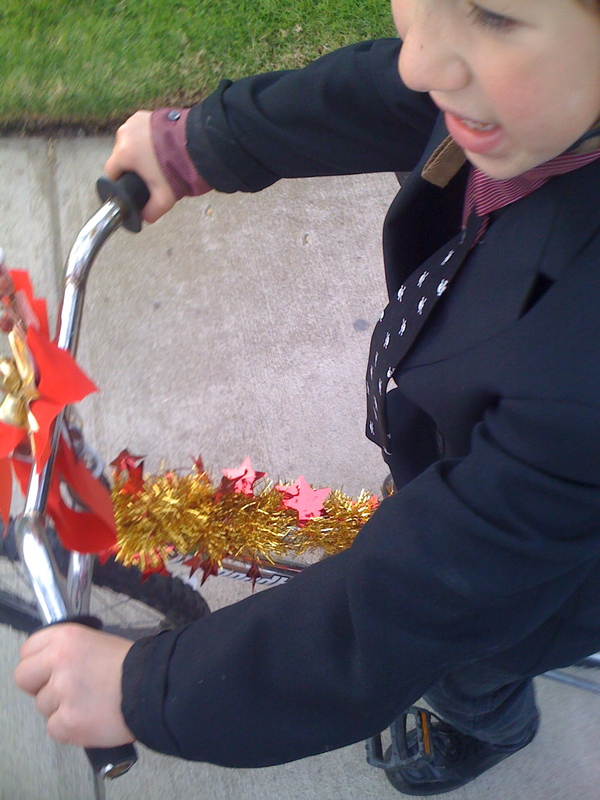 Advocate the enforcement and development of bike regulations. 11. Make our community attractive & competitive as a bicycle-friendly place to live. 12. Increase the social fabric of our communities. Interactivity: Our ArtRides prompt people to act. They remind people of the joy in riding alone and with a group of friends, just like when we were kids and that reminder encourages them to act–to get their bikes on the road again! Being part of the rides brings joy as does watching them. Without bicycling participants, there would be no ArtRide; this will be even more true on the Aeolian Rides! For the night ride, we hope that the cycling action itself will help light the ride. The ArtRides requires human interaction to complete the piece, prompts people to interact with one another, and responds to participants and to its environment. Education: The ArtRides educate Riders and the public. Riders learn how to ride in a group and at night; they learn about safety and what’s required by law. Many of our ArtRiders have school age children. On the Rides, we meet the artists, and in talking with them, learn more about the art. Many people on the Rides know little about the local art scene and this has exposed them to it as well as brought greater exposure to the artists. We agree that art is a powerful tool to educate youth about the pressing concerns of their times, including issues around the environment, renewable energy, and climate change. 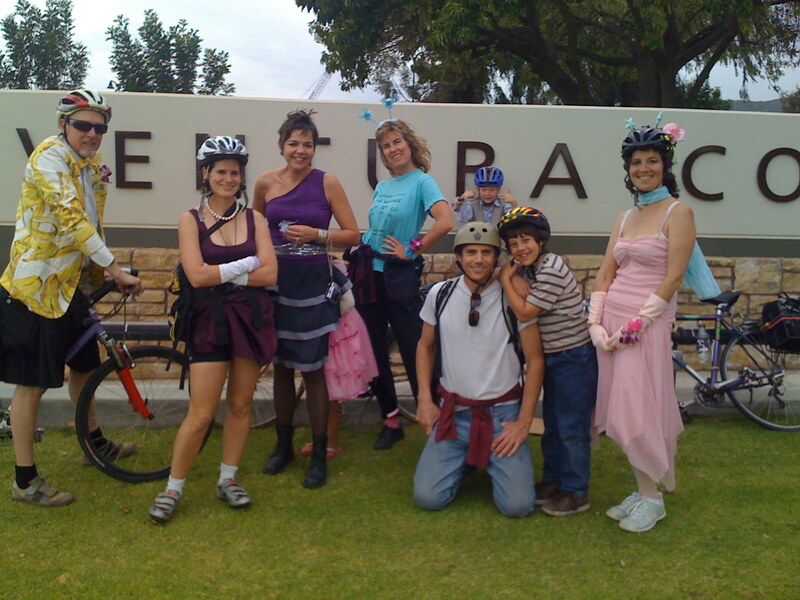 Activism: The ArtRides grew out of twin desires–to promote and support the local arts scene and to promote cycling, particularly among families. 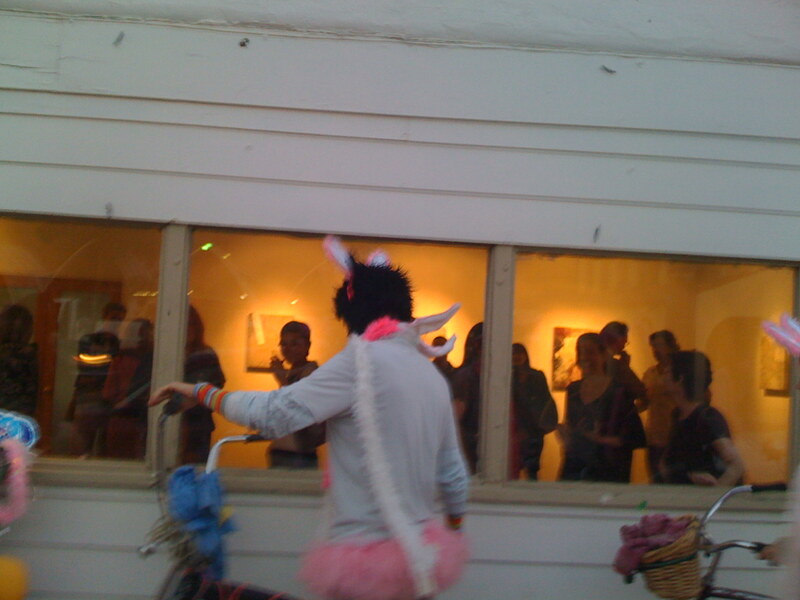 Our ArtRides, as a performance art piece, causes participants as well as observers to reflect on the larger community and their behaviors and actions. ArtRiders connects as individuals, forming alliances and friendships, and they call the community to a variety of actions. The ArtRides challenges individuals to reexamine their everyday lives and they ways they rely on personal vehicles for transportation. By encouraging people to ride, we support alternatives to traditional consumerism and transportation choices, and provide models to ways to reduce environmental impact. Through the ArtRides, we seek to promote the use of renewable resources, environmental justice and social responsibility. So why am I posting this here and now? Because I wrote a grant the other day to the Black Rock Arts Foundation asking for funds to help us hold the rides and to sponsor Jessica Findley to come to Ventura to do an Aeolian Ride at night for the August First Friday ArtRide and during the day for the Ventura County Fair Parade. I asked for funds for her and to light the costumes. Unfortunately, a glitch in my brain meant I majorly underestimated how much it will cost to light up the costumes for the night ride! Oh well. Let’s get funded first then worry about it! Great article. Having attended our first art ride recently, I have to say i think you do exactly what you set out to do. By making us get our bike “set up” in order. By having the whole family along we are able to practice riding as a family, which will increase the frequency no doubt. 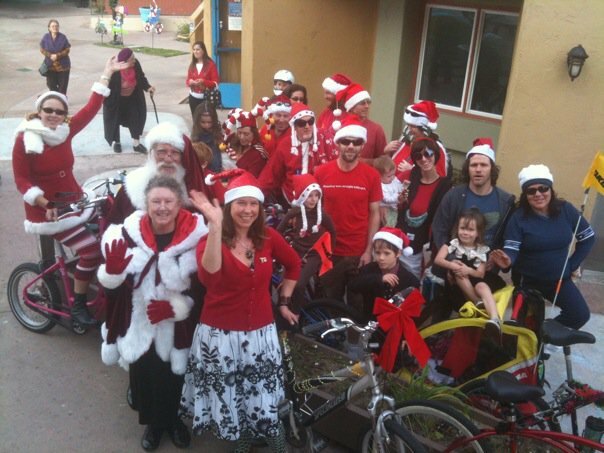 As we rode through Ventura the spirit and good cheer we spread was awesome. 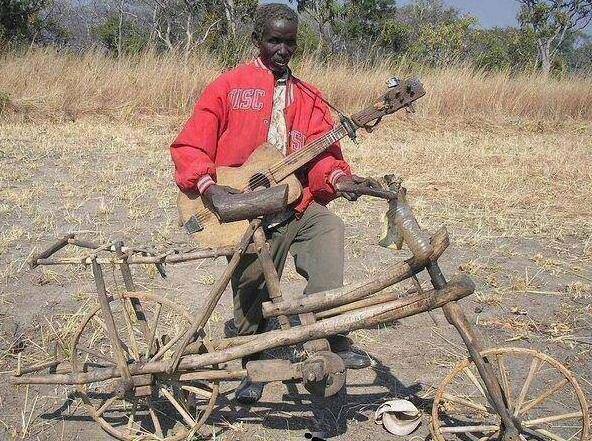 People would wave and smile, you have certainly flavored the Ventura culture a bit with these rides. I can’t think of a better art “piece” to be funded by Black Rock City, Santa hats off to you!